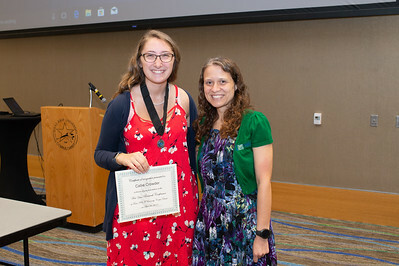 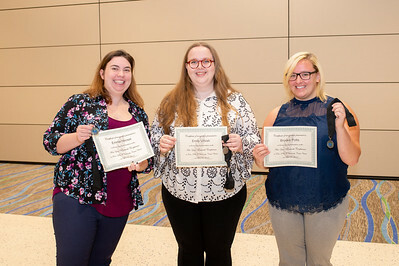 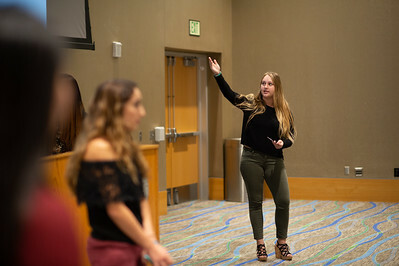 Following their FYI presentations, Emma Hansel (left), Emily Urbish, and Brooke Potts gather for a photo in the Anchor Ballroom. 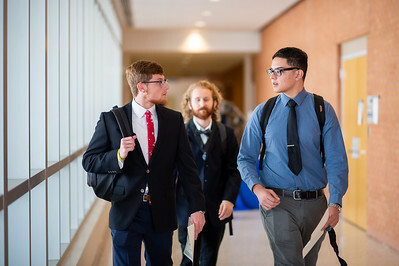 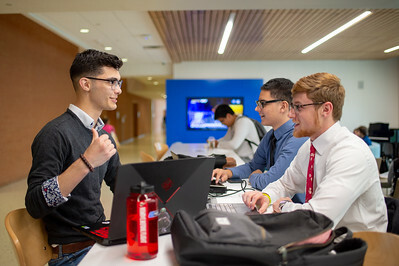 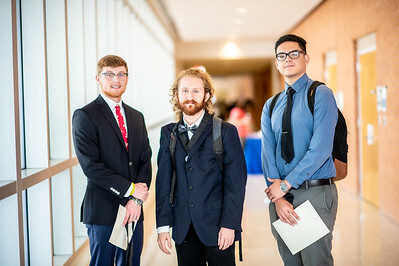 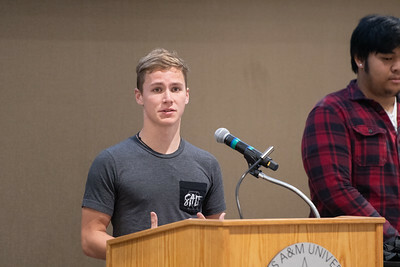 Students Alejandro Rodrigues (left), Luis Lopez, and Michael Sterns prepare for their presentation on esports regulations for the First Year Research Conference in the University Center. 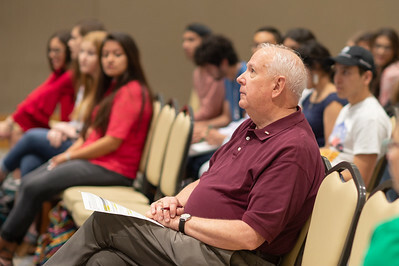 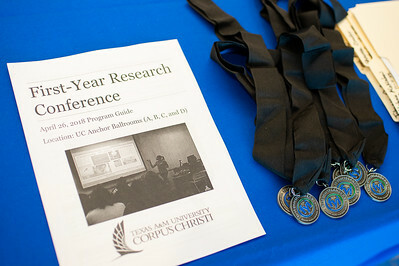 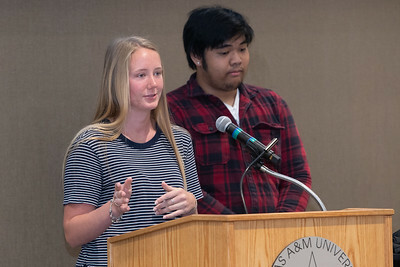 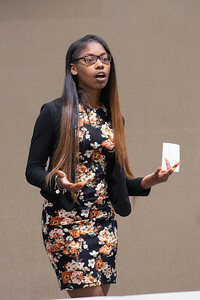 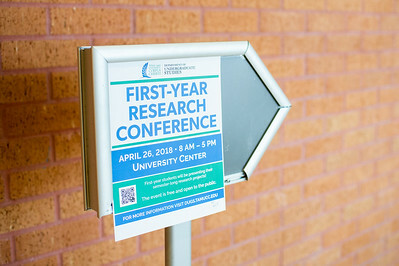 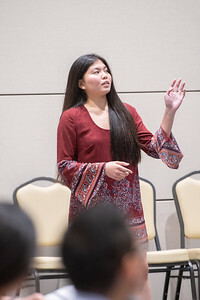 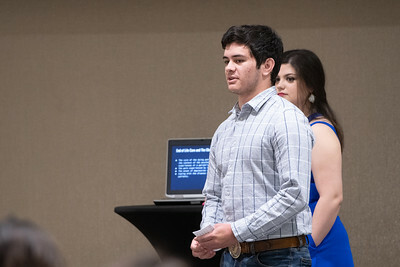 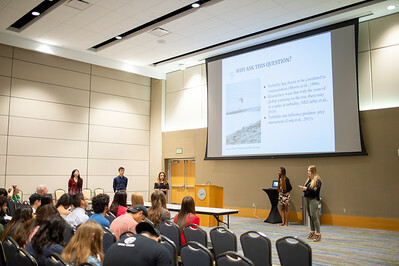 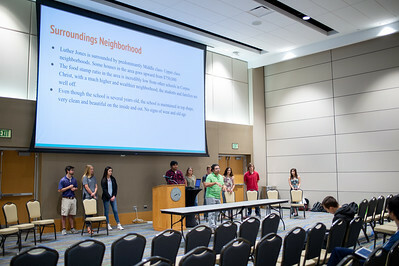 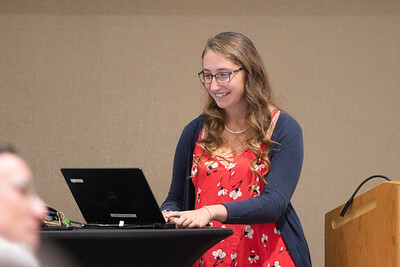 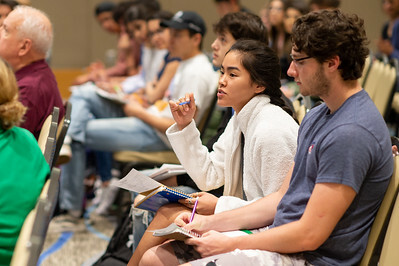 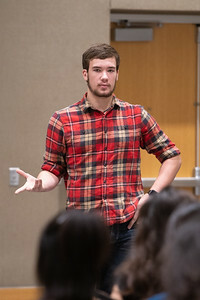 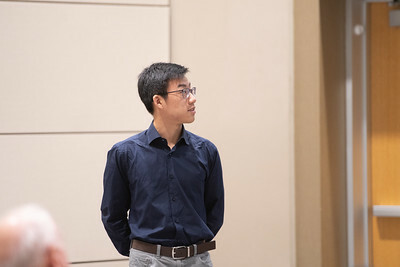 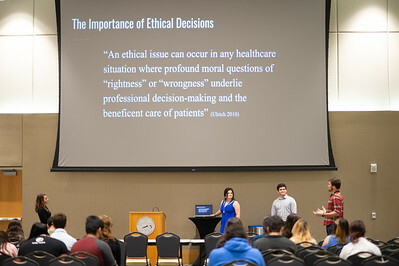 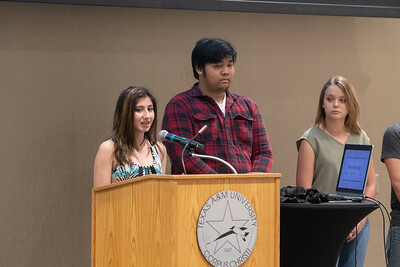 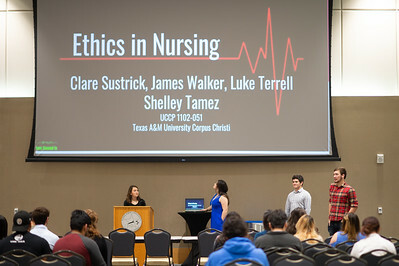 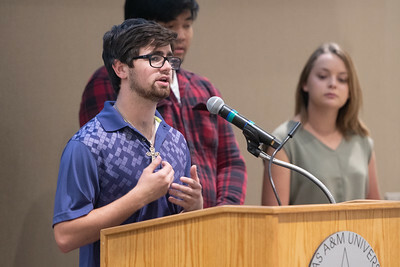 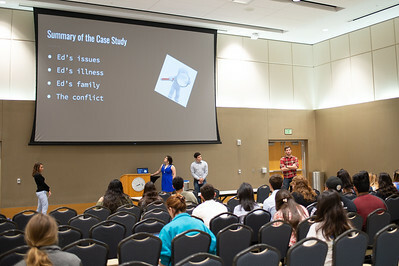 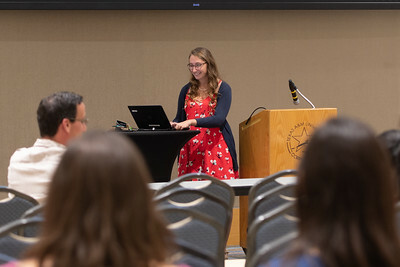 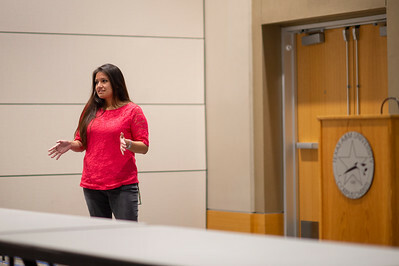 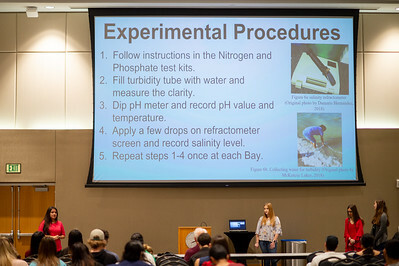 Student, Danielle Lu, asks a question during a Q&A segment at the First Year Research Conference.